iRealHousewives | The 411 On American + International Real Housewives: Stacey Forsey’s Book ‘Scrumplicious Sweet Treats’ Is Now Available For Purchase! Stacey Forsey’s Book ‘Scrumplicious Sweet Treats’ Is Now Available For Purchase! 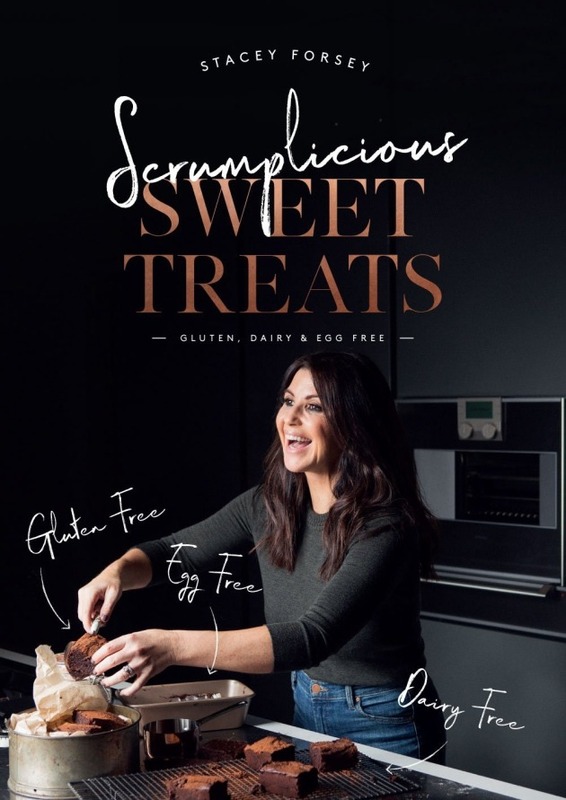 Real Housewives of Cheshire alum Stacey Forsey has just released her highly anticipated recipe book titled "Scrumplicious Sweet Treats" which is now available for purchase. Read full details below! Based on my own personal experiences, my brand new cookbook Scrumplicious Sweet Treats, explains my journey and hopefully guides you on yours. It is a collection of scrummy desserts and treats that are all dairy, egg and gluten free and where possible made no refined sugars. I feel passionately about those, including my own family, with food allergies and intolerances or those who simply have to make diet choices, not being able to enjoy puddings in the same way that everyone else can. That’s why I’ve poured my heart into creating this collection of lip-smacking cakes, muffins, brownies, puddings and desserts that haven’t been compromised in taste or texture and taste just like the traditional recipes. Every recipe has been lovingly crafted and tried and tested. Filled with beautiful photographs and ideas for every occasion, it’s not just for intolerance and allergy sufferers, everyone will love these recipes! Stacey took to her official website to share more details about her anticipated first book: "Writing the book has been a real labour of love for me and comes from my own personal experiences. For years, I have struggled with my health, starting from when I was just a child and plagued with eczema. By age 7 I had every allergy you could imagine, and this was just the start of a very long road. Throughout my life I have suffered with a whole range of illnesses and ailments, which only in later years of drifting into depression and feeling hopeless, did I discover these could be managed by managing the food I was putting into my body. It took copious amounts of visits to the doctor followed by a nutritionist and a vast amount of tests. But it finally led me to being diagnosed as yeast, gluten, dairy and egg intolerant and allergic to several foods. When I finally found out what had caused me so much upset it was a relief. With this relief also came the pain of realising I could no longer enjoy those little treats that we all like to indulge in every now and again! I could put it to one side, but when I realised my own daughter was suffering with some of the same intolerances and issues that I had, I felt dreadful. It was unfair that she, any other child, or any grown-up for that matter had to feel singled out simply due to their dietary needs. This made me spring into action and after lots of research and talking to various nutritionists and dieticians I found ways I could still in indulge in all those treats that I initially thought were ‘off-limits’. I’ve poured my heart into creating this collection of lip-smacking cakes, muffins, brownies, puddings and desserts all gluten, dairy and egg free and where possible made with no refined sugars that haven’t been compromised in taste or texture and if you were blindfolded, I promise you wouldn’t know the difference to their traditional counterpart. Every recipe has been lovingly crafted and tried and tested by myself and some very happy helpers. My book is now available for pre-order. As well as being filled with beautiful photography and ideas for every occasion, you can read my full story on how I went from living in pain, feeling constantly frustrated and uncertain – to enjoying every day and feeling positively scrumplicious!"